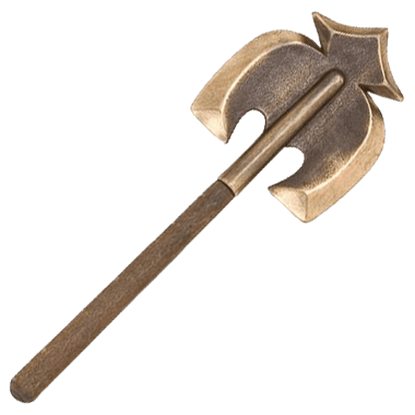 Wielded by Queen Taramis Guard-Captain, the Conan the Destroyer Bronze Miniature Spike-Mace of Bombaata is a scaled-down replica of the weapon seen and used during the course of the movie, Conan the Destroyer. Wielded by Queen Taramis Guard-Captain, the Conan the Destroyer Miniature Silver Spike-Mace of Bombaata is a scaled-down replica of the weapon seen and used during the course of the movie, Conan the Destroyer. 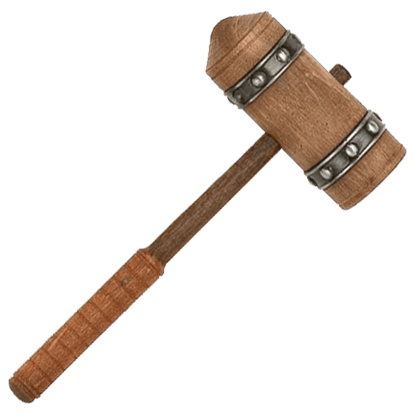 Nothing flaunts a victory in battle and commemorates your trusty armaments quite like having your weapons gilded. 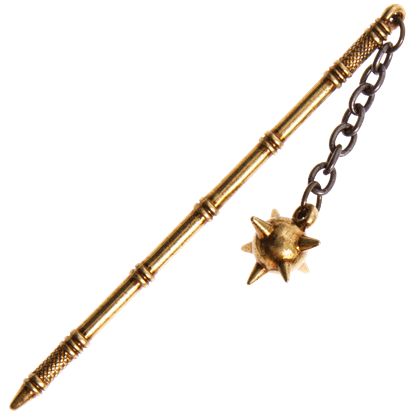 With the Golden Miniature Flail, you can put your own medieval military trophy on your desk or shelf for all to see. 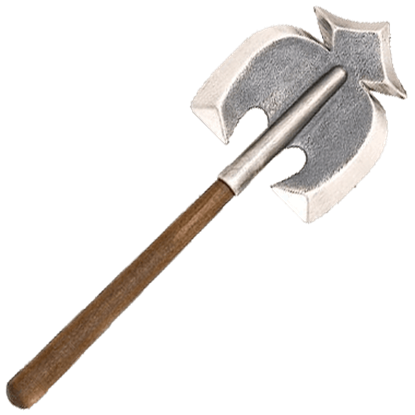 Flails made particularly good weapons because they could swing around the shield of an enemy. Supply one with two balls, and you have a terrifying contraption. 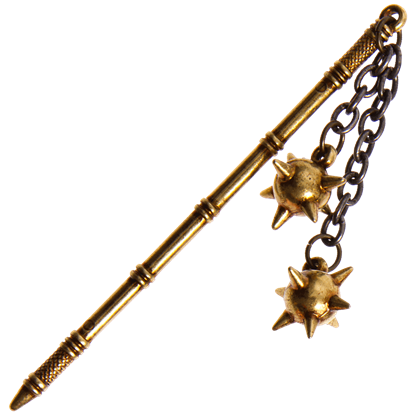 The Gold Miniature Two-Ball Flail illustrates this treasure of a weapon. 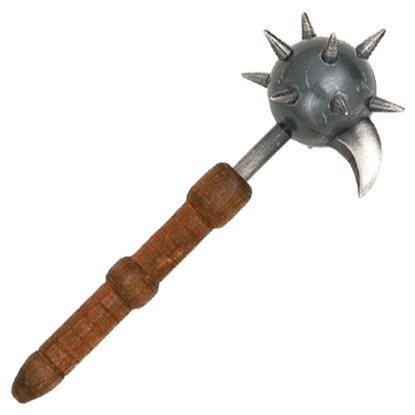 One of the more recognizable weapons of the Middle Ages, the flail started out as an agricultural instrument but developed into something deadly. 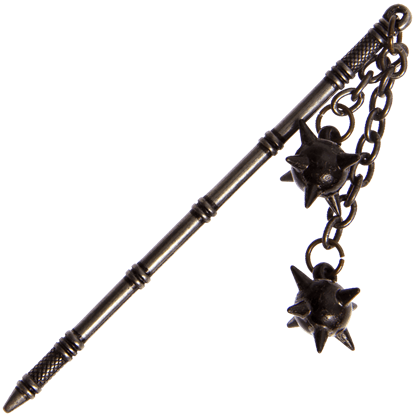 The Grey Miniature Flail captures the detail of this weapon on a smaller, more manageable scale. Not every collector has the room to show off a full-sized rifle. 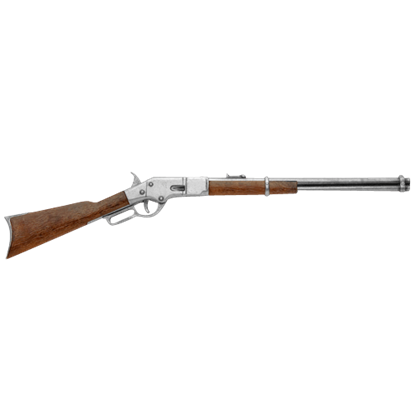 But there is no need for disappointment, because we offer a Grey Miniature M1866 Lever Action Rifle that packs all the detail of its full-sized cousin in a smaller package! 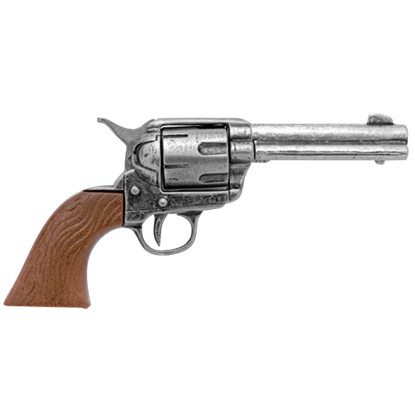 Say that you do not have room for a full-sized western replica, but you still want to enjoy the appeal and style of a western firearm? This Grey Miniature M1873 Single Action Revolver is the one for you, thanks to its fantastic detail. The only thing more terrifying than a soldier rushing at you with a ball and chain is a soldier rushing at you with two balls and chains. Luckily, the Grey Miniature Two-Ball Flail is a lot less dangerous than its real-life counterpart.